Following my previous post I have been digging into what type of lens Ed Ricketts actually used. 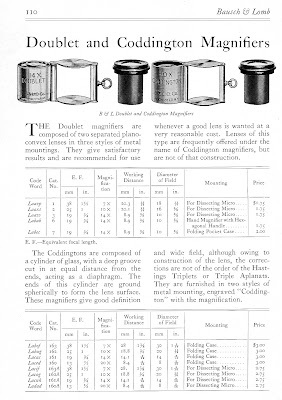 Thanks to a kind expert Dr David Riches I have tracked down a couple of pages from the 1929 Bausch & Lomb catalogue - Bausch & Lomb Optical Co, Rochester, NY, “Microscopes and other Scientific Instruments” 1929 which is HERE. 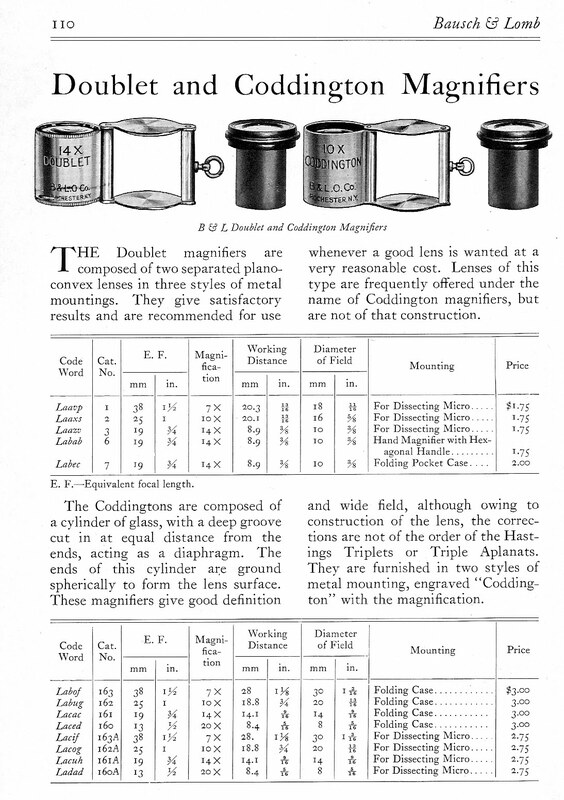 Here is one of the scans showing the range of Coddington magnifiers that where being sold by B&L in the early 1930's. A similar page shows the Hastings triplets that where available.